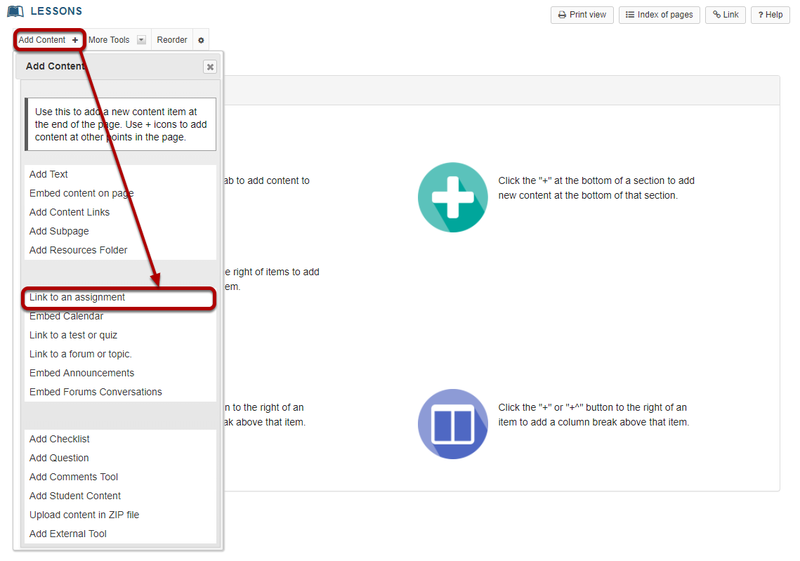 Sakai Guides and DocumentationSakai Complete User Guide LessonsHow do I add assignments to a Lessons page? 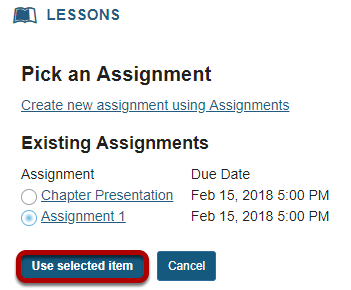 Click Add Content, then Link to an assignment. Zoom: Click Add Content, then Link to an assignment. 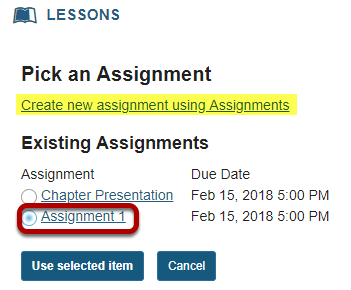 From the Add Content drop-down menu, select Link to an assignment. Zoom: View assignment link on page. 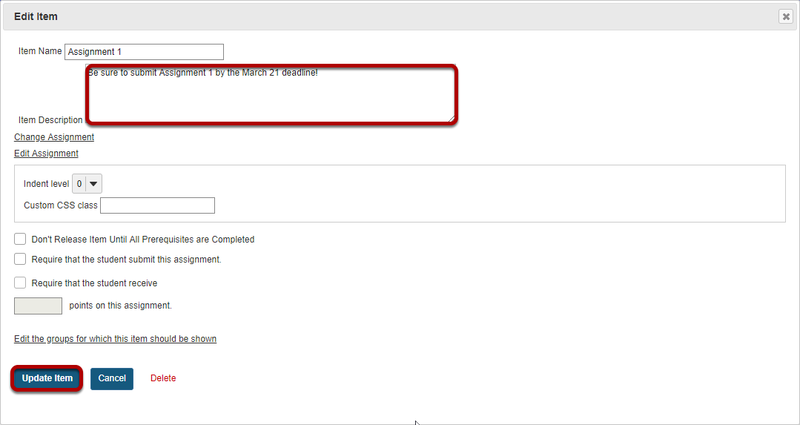 Zoom: Add a description for the assignment, then click Update Item. Prev: How do I add a file from Resources to a Lessons page? Next: How do I add forums or topics to a Lessons page?